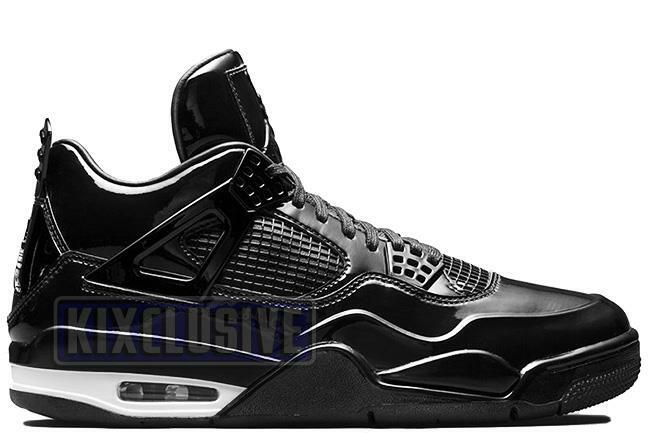 Info: The design of the Air Jordan 4 was created by Tinker Hatfield and is a continuation from the previous Jordan 3. It was popularized by Spike Lee as "Mars Blackmon". This special 11Lab4 edition takes black patent leather that the Jordan 11 is famous for and applies it to the Jordan 4 silhouette. April 2015 very limited release.